Free/low cost incentives for your class. This would also be helpful for substitute teachers as well. 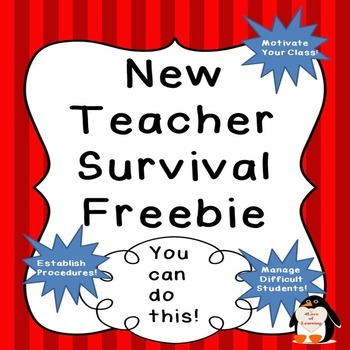 This freebie has 8 pages of tried and tested helpful hints for a successful school year. I would love to know if this is helpful for you! Please take a minute to leave feedback to my store and follow me for more great educational products! Thanks so much! Have a great summer and a Happy School Year!